Sony Introduces PlayStation 4 A New Generation PS 4 System: Sony Declares War on Reality: Sony has officially launched what will be its commitment to the new generation of consoles, PlayStation 4. However, despite having fulfilled the expectations created following the announcement of the press conference, Sony has not disclosed all their cards and has presented its new device without displaying it. 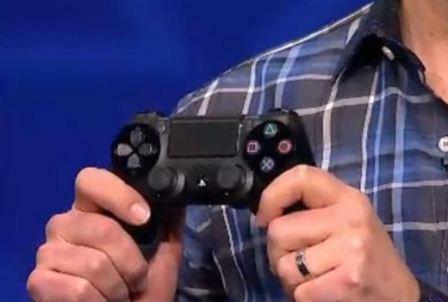 Sony has shown PlayStation 4 as expected, but it has not taught the console. I.e. it has taught its interface, its concept, his command, his games… But not the machine physically. It is not known no price or release date, but it will come out this year. The company has shown what we can expect of the new generation, but has also left wanting. He plays wait for E3. Sony has held this Wednesday, February 20, in New York a multitudinous event to teach its new console and its new environment, thinking that the user has more control of the games and contacts; that you can save more easily, share, and use the content with more versatility. The Japanese company wanted to show the power that its new console will be able to. Why has shown several video games, such as Killzone Shadow Fall, Knack, a ‘spin-off’ of InFamous or Driveclub, a car simulator. It has also taught demos of incredibly real human faces or technical management of particles that invite to see where will come the console. Nor has lacked the support of large companies. UbiSoft has taught a new video of its promising Watchdogs, Capcom has created a new graphics engine and works in a new adventure, Square Enix has announced a new Final Fantasy to be presented at E3 and Blizzard has said that Diablo III will reach the console. Activision has not lost the party and has led to the event the new creation of Bungie, the “fathers” of Halo: Destiny. The company had already announced this title for Xbox 360 and PlayStation 3, but at the same time had already announced that he would come to the next generation. The vast majority of the time that has lasted the presentation of PlayStation 4, two hours, has focused on video games that you’ll see in the next generation and that will bring technically. However, not only power has treated the press conference. In fact, it has started with Sony Computer Entertainment President Andrew House explaining that its new console is a “bold step in Sony as a company”. They believe that “the player is important, regardless of its location” and that seems will tend to bring their games to any device. One of the first examples of this is that PlayStation 4 games can be played directly in PS Vita, to play with them on the laptop via ‘streaming’. Sony has demonstrated this at the press conference with the Knack, an action-adventure video game. It is one of the applications that has given the Japanese company Gaikai, the company’s video games in the cloud which it acquired last year. Will also have other functions, as users try demos of games instantly on their consoles, without need to download. However, despite the Declaration of intent on Ubiquity, Sony has not delved into how their new console and its new environment interacts with mobile devices. Perhaps you have developed the technology and expect to make it more accessible to mobile networks are supporting greater data traffic or perhaps this information is reserved for E3. In any case, it seems that the ‘cloud gaming’ to bring powerful video to mobile devices will wait a little more. NEW MORE SOCIAL INTERFACE: PlayStation 4 will also debut a new interface and new social features. The new interface seems fluid, is composed of images of each content that displays menus for interaction. The menu is notable for its square Windows that, curiously, are reminiscent of the Xbox 360 and Windows 8 menu. Also in the new PlayStation 4 menu have big presence options to share, one of the axes of the experience. For example, will be recording videos of the games and share them with other players. Users will be able to share your games, in an innovative way and looking for a more social relationship around the games. 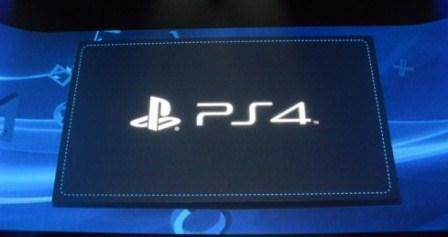 It’s PlayStation 4 and PlayStation Network become an ecosystem in which users are connected. In addition, users will be able to play games downloaded until the download is finished, you can stop a game and suspension to return to it almost instantly but we have turned off the console, at the same point at any time. The company says that it has finished with the system save games in a traditional way and that will be done invisibly to the user.